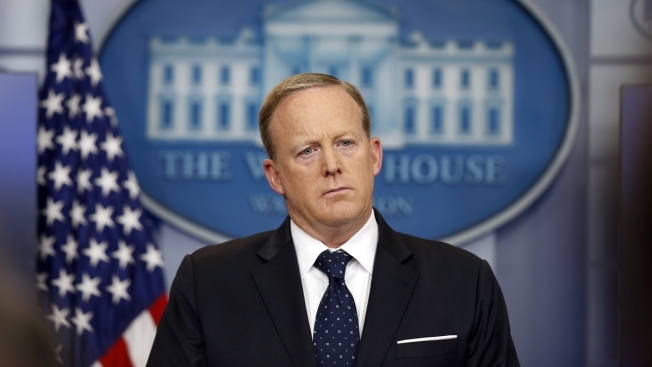 Spicer "can't recall any incident like this happening"
In this June 20, 2017, file photo, White House press secretary Sean Spicer listens to a reporter's question during a briefing at the White House in Washington. Spicer was "taken aback" by the man's "outrageous claim" and had no recollection of him or of being in school with him, his publicist said on Saturday. Alex Lombard, who was standing behind a small group of people waiting in line to meet Spicer and get him to sign the book, called out Spicer's name and said they went to Portsmouth Abbey School together. Spicer waved to him and said, "Hey. Yeah. How are you?" White House Press Secretary Sean Spicer has resigned after six months as President Donald Trump’s chief spokesman, according to sources. The move appeared to be linked to opposition over the appointment of New York financier Anthony Scaramucci as White House communications director. "You don't remember that you tried to fight me?" Lombard asked. "But you called me a (N-word) first." A security guard approached Lombard and led him away as he kept talking: "I was 14 then. I was a scared kid then, Sean. I'm not scared to fight you now." The Providence Journal reported Saturday that Lombard said he was a member of Portsmouth Abbey's class of 1990. It said Spicer was a member of the class of 1989. A Newport Daily News video of the encounter doesn't show how Spicer, who was seated at a table signing books, reacted to being accused of using the racial slur. But his publicist said he was shocked by the allegation. 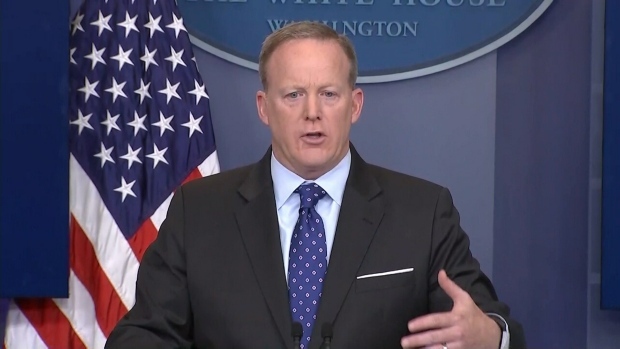 White House press secretary Sean Spicer fixed an American flag pin on his lapel that had been upside down at the start of his Friday briefing, bringing a moment of levity to an otherwise contentious exchange with reporters. 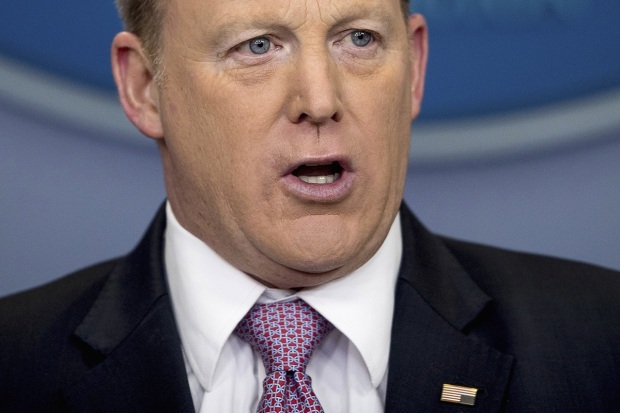 Spicer "can't recall any incident like this happening" and was "not sure if this was just a stunt this man was pulling," Regnery Publishing publicist Lauren McCue said. She said Spicer has been in the news a lot the last couple of years and it was "a very odd time" for an accusation like this to be made. Spicer has been promoting "The Briefing: Politics, the Press, and the President," which just came out. The book paints a rosy if sometimes thorny picture of Trump, describing him as "a unicorn, riding a unicorn over a rainbow" and a man to whom the regular rules of politics don't apply.